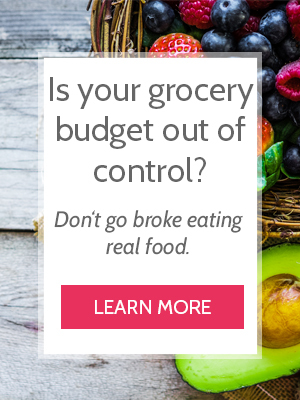 Save money and eat healthy with some of the best Cyber Monday deals I found for you! The great news is, a bunch of my favorite tools from those lists is part of Amazon’s Cyber Monday Deals! Don’t miss the FREE class and Sale on my favorite Kids’ Cooking Class here! The cooking class changed our lives. For real. With 50% off on my favorite intentional-living classes. They’re all $8.50 or less through November 26th! I just talked on Instagram about handy these are for traveling and packing healthy lunches. In the past, I thought they were only trendy and not really helpful. I was wrong. SO HANDY. And they’re cheap! Recently, we converted all of our cookware to either stainless steel or cast iron. It’s considered safer, and they last forever! I don’t want to replace my nonstick pans every couple years, nor do I want parts of the nonstick coating to come off in my food (it totally did after a few years). And they transfer easily from stovetop to oven. So versatile and classic. As I mentioned above, we recently converted our cookware to stainless steel and cast iron. However, not all stainless steel is made equal. I have worked with a lot of sub-par stainless steel pans that burn everything on the bottom and get hot way too fast. T-fal is one of my favorite brands. I have their giant stockpot. If you’re looking to ditch the cheap nonstick and find something that will last longer (and won’t fleck non-stick coating into your food – gross). Now is the time to get a great deal on quality cookware! I was tied between getting the Blendtec or the Vitamix. The ONLY reason I went with a Vitamix was that I found a great deal on that one first. Both are excellent machines that last a long time and hold up to the hype. This week, BOTH the Vitamix and Blendtec are available as part of Cyber Week! Check it out here. It’s not nonstick though it’s touted as so. It IS better than stainless steel, and my stainless is a heavy pan. But for eggs…noop, not gonna work. I am so over nonstick for eggs but we eat them daily and often want to scramble or fry them. Just giving my review. Don’t waste your money. Uncoated cast iron works really well for eggs if it’s seasoned properly. Butter makes a big difference, IMO. If you can use butter as your cooking fat, I think it makes the eggs or whatever you are cooking stick less. Thanks for the review!